Last year, as many of you know, we embarked on our biggest trip to date with BattleKid. It was a two-week USA road trip taking in the stunning Yellowstone National Park, smoky Missoula in Montana and the hip and vibrant city of Portland. Missoula is a place not many people will have heard of, us included before our trip, but is definitely worth a visit. And today I’m going to share with you 5 things to do in Missoula with a toddler in tow, should you be visiting yourself with a toddler or young kids. Now, we chose Missoula, which is in the state of Montana, as it was roughly the halfway point between Yellowstone and Portland. Stopping there would enable us to break up the driving and have some down time with BattleKid during our road trip. We also chose it because there was a town called Lolo right beside it and also Lolo National Forest. Lolo is the nickname my Dad got from his first grandson and it stuck. So naturally we needed to visit the town that shares his name. We also intended to visit Lolo National Forest but alas it was not to be. Montana was cloaked in smoke due to widespread forest fires, some of which had reached Lolo National Forest, causing it to be closed to the public for safety. But it gives us a reason to return. With the forest no longer an option, we needed to find things to do in Missoula with kids. Our first port of call was Google. We searched for things to do with kids in Missoula. These had to include fun activities for kids as we had BattleKid with us. We were also fortunate that our AirBnB host had left a few magazines in the apartment one of which had articles about things to do in Montana with kids. The articles proved so useful to us. They not only showed what to do with kids in Missoula and the wider Montana area, they also gave some ideas of free things to do in Missoula. Armed with as much information as possible, we set out to discover Missoula and other nearby things that we otherwise would have missed had the forest been open. 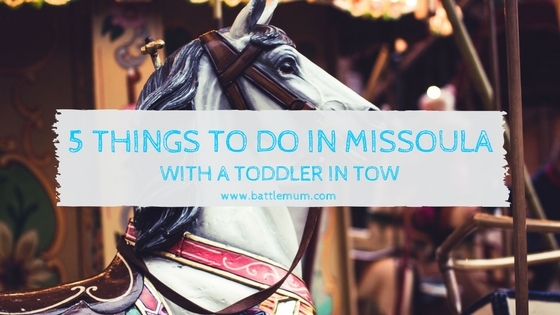 And as a result, I am able to share with you 5 things to do in Missoula with a toddler in tow. All of these are fun things to do in Missoula and the slightly wider areas around it. Caras Park is located in Downtown Missoula along the Clark Fort River. It is a lovely area and the Park Pavilion plays host to a variety of events throughout the year including music concerts, festivals and even a type of Oktoberfest, which was being set up the day we had our picnic in the park. We visited one day during our time in Missoula after being in the wider Montana area, and I had packed a picnic. We found some picnic benches near the Pavilion and enjoyed our lunch in the sun. Other families soon joined us on the adjacent benches for their own picnics. And if you don’t want to sit on the benches there are plenty of lovely grassy areas for picnic blankets too. Afterwards, you can enjoy one of the following two things. Located in Caras Park, the Carousel for Missoula was opened in 1995 and was the culmination of the labour of many volunteers and over 100,000 construction hours. Featuring 38 hand-carved ponies, two chariots, 14 gargoyles, mirror frames and the largest band organ in continuous use in America, it is somewhere kids, young and old, can enjoy. 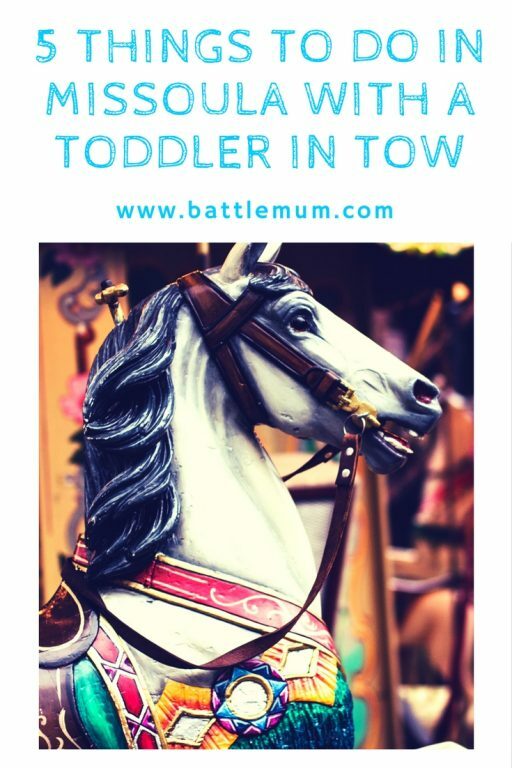 You need a token per ride, which costs just 75c, and if you, as a parent, want to ride and share a pony with your child (as I did), it will cost you two tokens. There is also a chance to win free rides by collecting rings from a chute as you pass by, but you need to be on an outside pony to try your luck. BattleKid and I enjoyed two rides together and he didn’t want to get off. The Carousel for Missoula is really one of the fun things to do in Missoula with kids that shouldn’t be missed. It is open 364 days of the year between 11 and 5.30. 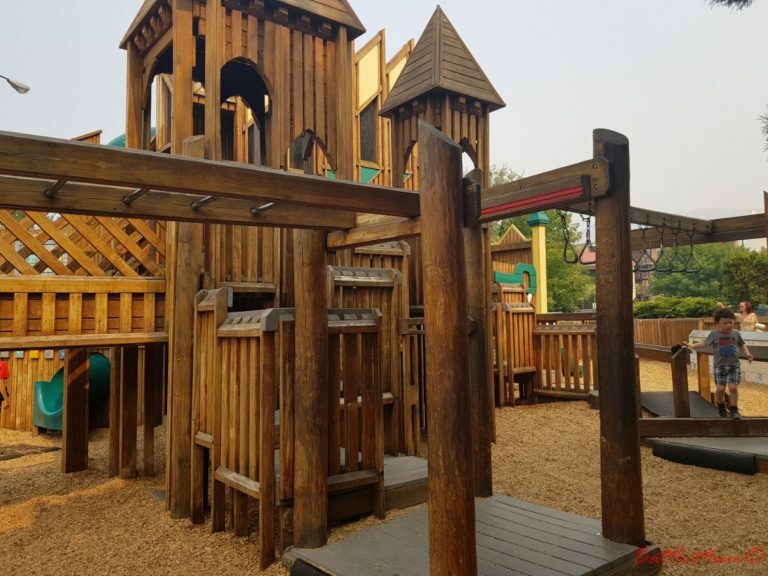 Also located in Caras Park, right beside the Carousel for Missoula, the Dragon Hollow playground is a brilliant place to visit with toddlers and kids. It was designed by artists and consultants after getting advice and ideas from local school children. It is a very safe playground which is enclosed by a picket fence and has chip bark flooring. Featuring a huge Dragon themed play house with tunnels, stairs and slides, BattleKid had a great time weaving his way through to the biggest slide he could find! There are also swings, musical play features and an area for smaller children. It is suitable for kids from 18 months to 12 years of age, is open all year round and is free to use. There are seats around the playground for parents to take a breather. One thing I will point out is that once your child enters the dragon, you cannot easily see them until they emerge from a slide. So just be cautious. But it is one of the best wooden playhouses I have ever come across and BattleKid thoroughly enjoyed himself here. Established in 1908 as a sanctuary for the American bison, the National Bison Range is located approximately an hour north of Missoula. It was one of the places featured in the magazines that our AirBnB host had left in the apartment and somewhere we might have missed. It is home to a herd of between 350 and 500 bison but is also home to other animals such as coyote, black bear, elk, bighorn sheep and pronghorn deer. There are two routes you can drive at the Bison Range. The short Prairie Drive is open all-year round while the longer Red Sleep Mountain Drive is only open from mid-May to early October. We did the Red Sleep Mountain Drive and it was challenging. It has sharp switch-backs and steep declines and I’d recommend you do this in a 4×4 car due to the roughness of the road. Note, this drive is closed during the winter months. Although we had seen bison in Yellowstone, we were hoping to see other animals and saw elk and pronghorn deer during our visit. A day pass costs just $5 (you can get an annual oass valid from your first visit for just $15), and the gates are generally open from 7am to 7pm. The visitor’s centre, where you pay, has plenty of information about the range and also has toilets too. Although we only spent a few hours there it was worth the drive from Missoula. This was one of the most surprising places we visited in Montana. 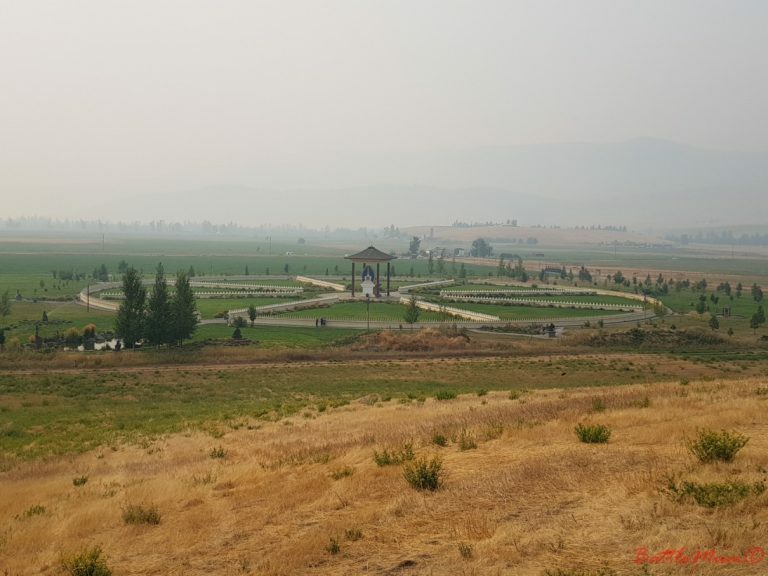 Situated in Arlee, about 40 minutes north of Missoula, the Ewam Buddha Garden has to be one of the most peaceful and tranquil places we’ve ever visited. In the centre of the garden lies a 24-foot tall statue of Yum Chenmo. 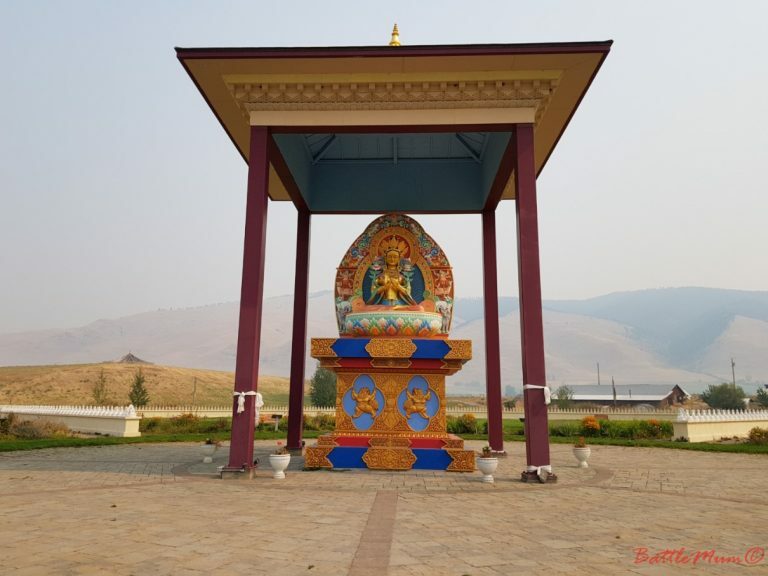 One thousand Montana-made images of Buddha are arranged in the shape of an eight-spoked Dharma wheel, which encircle Yum Chenmo. 1000 additional stupas surmount the two exterior throne walls, creating the outer rim of the Dharma wheel. And it is a mesmorising sight to see. A view of the Ewam Buddha Garden from the hill of prayer flags. See how smokey it is! The gardens also have a small lake hosting fish and surrounded by large Buddha statues. The garden is open all year round from dawn until dusk and is free to visit (with donation boxes at various points throughout the garden). It was designed for people to enjoy the space, flowers and serene surroundings. Guided tours are available and there is also a gift shop and ample parking. Once we found out about the Garden of One Thousand Buddhas we knew we had to visit it. A dear friend of ours in Wales introduced us to Buddhism. BattleKid enjoyed our walk around the garden, stopping here and there to admire certain Buddha statues and to say hello to the fish. I’m just sorry we didn’t know there was a prayer flag mount there before we went, or we would have created our own to add. You wouldn’t think this is a place to visit with kids but BattleKid really enjoyed it, so I’m sure your kids would too. And as it is on the same route as the Bison Range you could visit both in one day. The central buddha in the Ewam Buddha Garden. I can hand-on-heart say we enjoyed each and every one of these activities in Missoula and Montana. And in hindsight the forest fires and resulting smoke were a blessing in disguise. We might not have visited any of these sights had it not been for the fact that Lolo National Forest, our original reason for visiting Missoula, was closed. Our sudden change of plans worked out for the best and we got to visit places even BattleKid enjoyed. 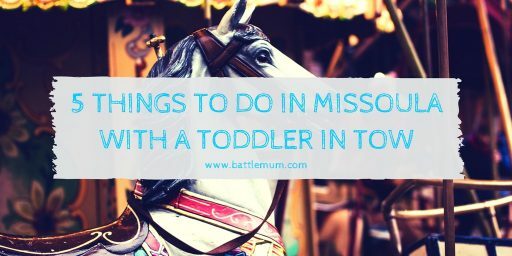 So, if you are wondering what to do in Missoula and Montana with toddlers and young children, I hope I’ve given you some ideas of both paid and free things to do with my 5 things to do in Missoula with a toddler in tow. And if you are considering visiting the USA with kids and not sure what there is to do with them in certain cities, these posts might help decide for you! What an amazing trip to go on – I’ve never been to the US but Yellowstone looks AMAZING! Missoula sounds and looks really interesting too. I love finding charming little places like that on my travels. A two week American Road Trip is something I dream of doing. I have never heard of Missoula before but it looks like a great place for kids. The Bison Range is something I would love to go to. I had never heard of it either before we started planning our trip but I’m glad we chose to stay there as it was a nice town. A two week American Road Trip is something I dream of doing. I have never heard of Missoula before but it looks like a great place for kids. The Bison Range is something I would love to go to. And that Buddha garden does look very tranquil. The garden was so beautiful, a lovely place to wander around. wow this looks like a one in a life time trip for you all and a fantastic way to make memories with the kids. Don’t think i’m brave enough to do something like this with mine just yet but hopefully one day. Love the Lolo connection. It looks fab. And I’m glad the forest fire didn’t put a dampener on your trip. I would never have thought to visit Missouri, but it looks like the perfect place for a break with kids – love the idea of the bison range! It sounds amazing! What a fab little adventure! My husband is desperate to drive through the states, it’s on our travel bucket list! This sounds like a fantastic road trip – I would just LOVE to see Yellowstone! These all sound like amazing activities, but my kids would go nuts for that playground! We love carousels too – we found one in Central Park in NYC over the summer and I swear my kids could have ridden it all day! It sounds like great fun. I would love to go on a carousel, especially in the US!! Wow a trip like that sounds great. I’ve never been to America but would love to one day! That playground looks amazing! Ooh carousels make me feel queasy! That playground looks fab though. How cool you were going to visit a place with the same name! Such a shame you didn’t get there though. Bit like you said you found these places instead. They look fun! Very true, and it’s an excuse to go back to Montana! BattleKid too since his first one at Folly Farm a few years ago! Yes, BattleKid wanted to go on it and wasn’t happy when someone took it first time round haha! Wow, what a great part of the world. You’re right, I’d never heard of it but sounds lovely – that Dragon playground looks EPIC! But what a shame about Lolo National Park. How much fun does this look! I love how your little is getting countless of memories to remember back to when he is older! I can remember all the trips we took as a family and will always say I had an amazing childhood because of all the time I spent with my family! 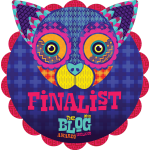 I found your blog on Twitter and love it! My husband and I are actually setting to plan a trip to Montana, but I had never heard of Missoula until now. Definitely saving this, thanks so much! Hi Jessie, thanks so much for your lovely message. I can highly recommend Missoula. It was a town we stopped at simply because it was near Lolo National Park and it was a very pleasant surprise. If you need any help, just let me know. More than happy to help where I can.